Cellular data service for Iris has been discontinued according to a recently e-mailed announcement from IrisByLowes. The notice warned that on June 30th all cellular backup service plans would be turned off. It also stated that current USB modems will not be supported but new modems will be free when the replacement service is launched. In their Cellular FAQ, IrisByLowes suggests some costly workarounds for users who want or need to have cellular data service. The FAQ also warns customers to expect a gap of several months until a new service is offered. As a consolation to loyal customers, Lowes will stop billing for the service at the end of April. This news has rankled some loyal Iris Users who have taken the news as another bump in the road to version 2. The best solution would be to install a cellular router. They are available from most major wireless carriers. 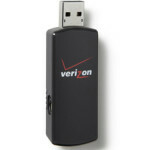 Here is an example of a Verizon device. You would then simply plug your Iris hub into the router like you would any other modem in a home with internet available via landline. An additional benefit of a cellular router is you can also connect it to a traditional Wi-Fi router to provide Wi-Fi at your location. Cellular data is gone, what happens to my hub? For those who were waiting for this functionality in V2 you are simply out of luck. The news gets worse for V1 customers with cell service. In the past customers with poor, or no internet could subscribe to a cellular-only plan. Lowes will effectively be abandoning these customers on June 30th by leaving them with non-working hubs. Customers who have a cellular backup plan will lose the redundancy they have come to depend on. If you have subscribed to a cellular plan you should start planning to implement your own replacement soon. IrisByLowes has provided some helpful tips on how to get started albeit at a significant expensive to their customers. If you have an existing data plan you may be able to save a little money by adding a new modem to your existing plan. Home routers have also evolved with some models including USB ports that recognize the connection of a USB cellular modem and automatically fail over to it when the primary Internet fails. With cellular service gone, Lowes has removed a unique and powerful feature that made Iris stand out among the competition. The Internet of Things and home automation are rapidly evolving spaces. There little value being “locked in” a closed ecosystem that hides most of its usability behind a pay wall. If you are contemplating a move to V2, or are in need of cellular backup service, now just might be a good time take a look at what the completion has to offer.